Another offense committed, Police in Japan have arrested a 14-year-old teen for creating a ransomware. The teen lives in the town of Takatsuki and whose name wasn't revealed by the Japanese authorities, is said to be the first person to be arrested for in Japan for such kind of offense. 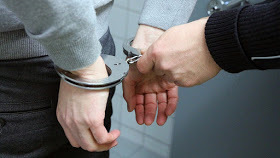 According to local media, the teen told the police that he created the ransomware out of curiosity by assembling various parts from projects he found online. When asked by the police how he learnt to code the teen said he learnt it on his own. The Japanese police said the teenager advertised his website on social media sites telling others "I made ransomware. Please feel to use it," he said. The Police said that they found the kids project while patrolling the internet in January which later led to his arrest in April. The teenager says that he embarked on the project so as to get recognition on the internet as he claimed never to have distributed or spam anybody with it. Police authorities have raided the boys home and confiscated his computer system.